Team Suzuki Press Office – April 8. 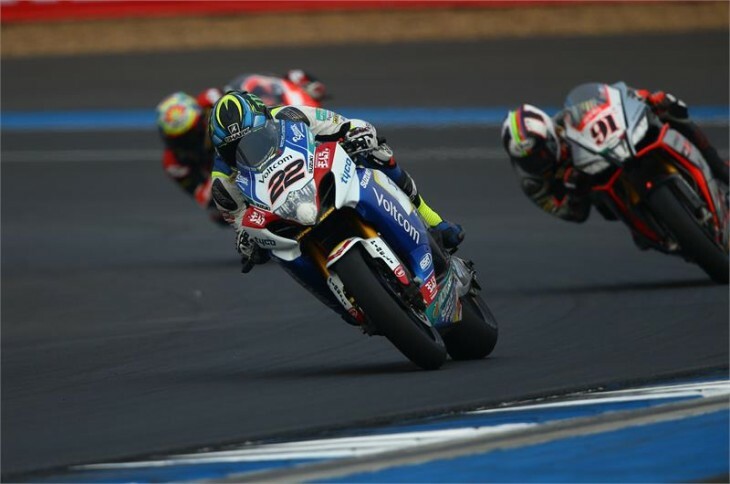 Voltcom Crescent Suzuki heads to Aragon in Spain this week as Alex Lowes and Randy de Puniet prepare for their first 2015 World Superbike race on European soil. Looking to capitalise on his podium-securing pace, shown consistently throughout the last round in Thailand two weeks ago, Lowes is eager to continue the progression on his Yoshimura-powered GSX-R. With a year’s worth of knowledge and two races at the Motorland circuit under his belt, the British racer is determined to improve on the positions from his rookie appearance and reaffirm his challenge on the Championship frontrunners. De Puniet’s season starts afresh at the Teruel track, having overcome the injury sustained during testing at Phillip Island in February. A regular at the circuit throughout his long-standing career – the Frenchman last raced here in 2013 and completed testing duties midway through 2014 – this week will see his first visit to Aragon aboard the Suzuki GSX-R1000 and he has his sights set on regaining his confidence on European shores. Motorland Aragon’s 5,078m circuit is located approximately 250kms from Barcelona and 100kms from the region’s capitol of Zaragoza, in the heart of the historic street-racing area of Alcaniz. The circuit itself provides a combination of four Herman Tilke designed track layouts, while the overall complex merges technology, sport and culture within its vast facility. The FIM designated layout runs anti-clockwise and presents the World Championship with 17 corners and countless undulations as it twists its way across the Spanish hills, providing an exciting challenge for the Superbike racers as they showcase the best machines the production class has to offer.